Clive's Author Bio: Clive Burford is a trainer in the Service Management team at QA - a leading providers of ITIL certification and technical IT training courses. He has 14 years customer facing IT experience in both the public and private sectors and has been working as an ITSM lecturer and consultant for over five years during which time he has delivered courses to customers across the British Isles, as well as in numerous other countries across the world. He passionately believes that service management concepts and principles, if implemented wisely, can vastly improve the quality of IT provision within an organisation. The most successful business can usually demonstrate a healthy relationship with its IT department. This is because over time IT has learnt what it is that the business require from technology and as a result have been able to design and deliver IT services that meet the needs of the business. This in turn can be seen as an enabler of the success of the business as a whole. A very simple conclusion can be drawn from this and that is that if an IT department delivers to the business the IT that it wants and needs, then the business will be more inclined to listen to the advice of IT on technical matters in the future. There is also an increased likelihood that they will provide sufficient investment to meet future requirements. In other words business and IT will get on well with each other – a happy marriage! However, we’ve all probably been in the situation whereby the business is extremely demanding of IT. Where the business itself identifies technical solutions, before even identifying its needs. Where budgets are cut whilst demands continue to increase. Certainly in such circumstances, the IT professionals strive to perform as best they can, but frequently fall short of meeting the lofty expectations of the over demanding business community. This often results in more cuts and/or poorly managed outsourcing activities. The end result here is typically increased dissatisfaction, which in turn can easily lead to reduced business productivity and ultimately increased costs overall. Most definitely not a happy marriage! The ITIL best practice framework is designed to improve the relationship between IT and the business. By building bridges between the two, the improved communication will help to ensure increased alignment between the IT delivered and the specific needs of the business. This in turn cannot help but improve productivity, both for the business community and IT itself. An IT department should not be run from its own remote silo. Rather it should be considered part of the business as a whole and indeed central to the success of that business. 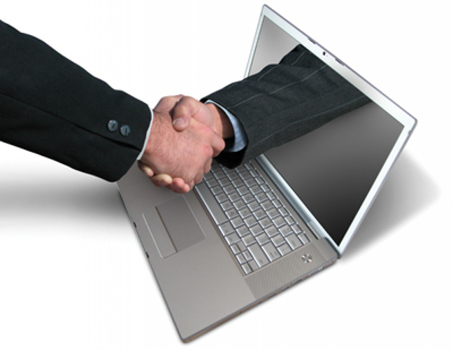 ITIL facilitates a good working relationship between the business and IT, which can only be beneficial to both parties. As the saying goes…. It’s good to talk!